Moving house is known for being one of the most stressful times of an adult’s life. The whole process can become pretty chaotic! 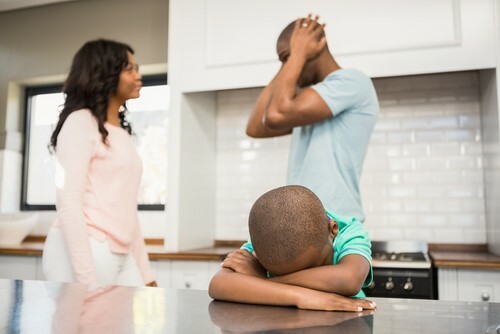 All too often, closely-knit, happy families get caught up in the mayhem and quickly lose tempers with one another, making the whole experience less enjoyable. However, when you take a step back, and remove yourself from the theoretical stresses moving can bring, it becomes clearer that, in reality, moving home is a major achievement – even if it’s to downsize from a larger property. And whilst grown adults are arguing over whose responsibility it was to switch off, pack, notify or organise a particular facet of the move; there is a somewhat lost and scared child wishing their world would simply return back to normal. Shifting the focus onto the child; moving can be unbelievably scary. All the terra firma that they once knew to be real and true in their lives is now about to change (at least in their minds). And family arguments only add to the level of uncertainty and destress. 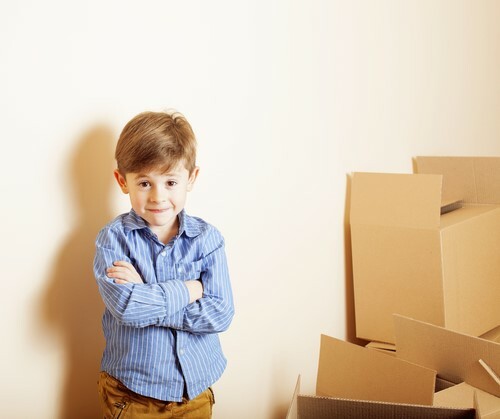 Children, are more likely to be affected by a move as it is one of the biggest happenings in their life. However, moving home does not need to appear this way to a child. The process should be a celebration and a positive step in their lives. To make the possibility a reality, we have created some useful tips for settling a child into their new home. 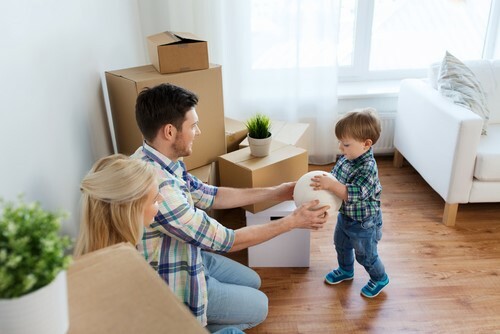 Start preparing your child for the move a couple of months before you actually go. Talk to them about what they would envisage their new room to look like. You do not need to shy away from talking to them about making new friends, but equally do not over-egg the custard, so-to-speak. Children can form very close attachments to their friends, and in talking about making new friends, they may feel that their old ones are being replaced. It is therefore worth talking to them about when their old friends can come and visit (providing this is an actual possibility). Moving in books: For younger children especially, who may not fully understand what is meant by a move, there are copious books that depict the whole experience as one that is fun and exciting! By reading these, maybe at bedtime; they are given more in the way of time to contemplate and digest what is about to happen, meaning they can better prepare themselves for the move. This is essential as if the child is inwardly secure, they will cope far better. Favourite toy: Ensure that your child is either able to travel with their favourite toy in the car during the journey to your new home, or that it is easily accessible so you can quickly unpack it when you arrive. Let the child choose their own room: A house is more likely to feel like a home if your child can feel like they can make it their own. More often than not, children do not choose the master bedroom, as they prefer rooms that are cosier, as this too instils a feeling of warmth and security. If your child is young enough, simply place one of your child’s favourite teddies in the room you would prefer them to choose and say ‘Oh look, teddy loves this room!’ Older children are more open to reason, and if you explain that you would like a particular room in order to fit both mum and dad in the room, most will understand and choose another room. Celebrate your first night moving in together: Choose an easy, comforting family favourite for dinner time. Something such as pizza that requires little in the way of tidying up after, is always a winner. Try to opt for one of the child’s favourites. 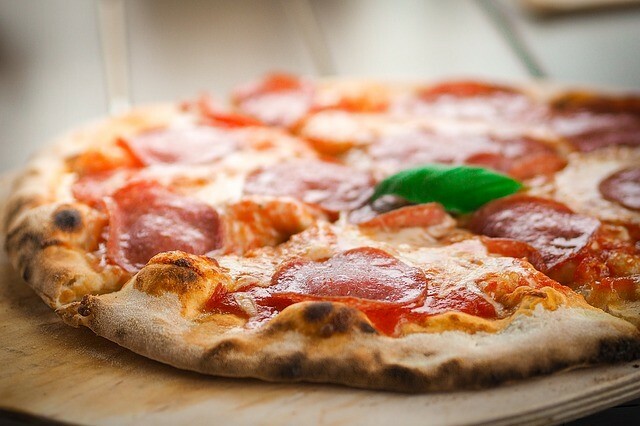 A meal that can be shared such as pizza also provides a greater sense of family interaction and unity. Not only does it lessen the formality as you can all dive in; it also gives the night that special, celebratory feeling. 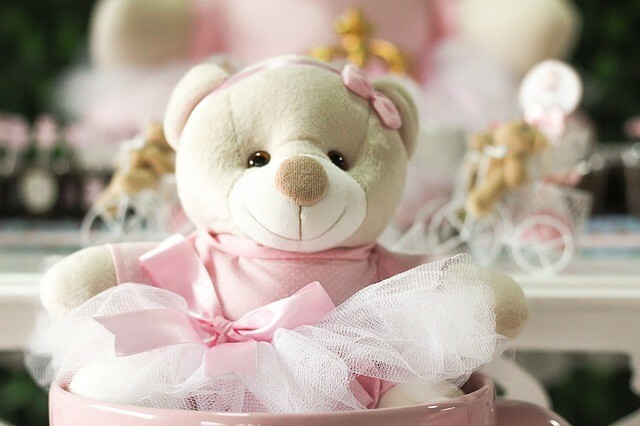 Moving in present: Choosing a small token gift for your child could help them see the move as a special event. Phone the Grandparents: If you had previously been living with your parents or in-laws, it’s highly possible that your child will miss them. Letting your child hear their voice by phoning them, or through a video-call will help to reassure younger children especially, that they are still going to be a big part of their lives. Glow sticks: Bed time! Your child may feel nervous about being left in a strange room without their parents, so, it is important that the room is made as cosy as possible. Subtle lights can help the child feel less scared. 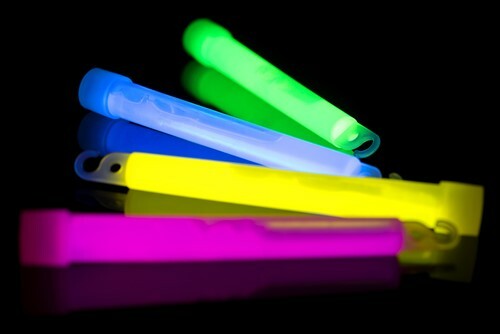 Glow sticks are a fun option and do not disturb sleep. Teddies, mobiles or any other comforter that the child had at home should be unpacked to make it as home-like as possible. • Set aside some quality, family time. 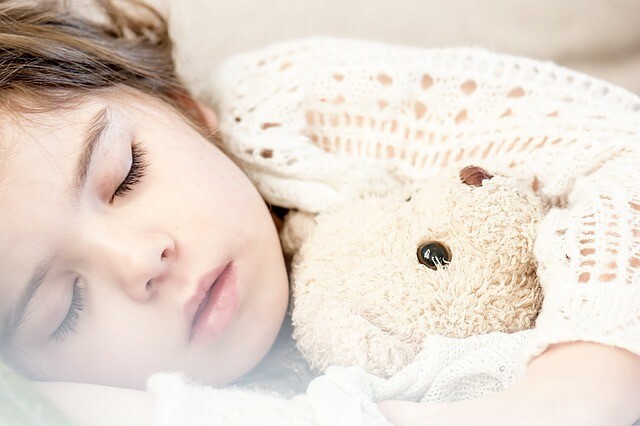 • Children are reassured by actions as well as words, so be sure to offer plenty of hugs and kisses which will lessen their feeling of displacement. • Make a fort out of the packing boxes – this is great fun for adults too! • Don’t try to sort everything in the first few days or weeks or take the move too seriously. Children thrive on fun and families! • Assign the child some fun jobs to make them feel useful and a part of the move. childrenchoosing their roomfavourite toyMoving homestress-free move for childrentips for moving home with a child.